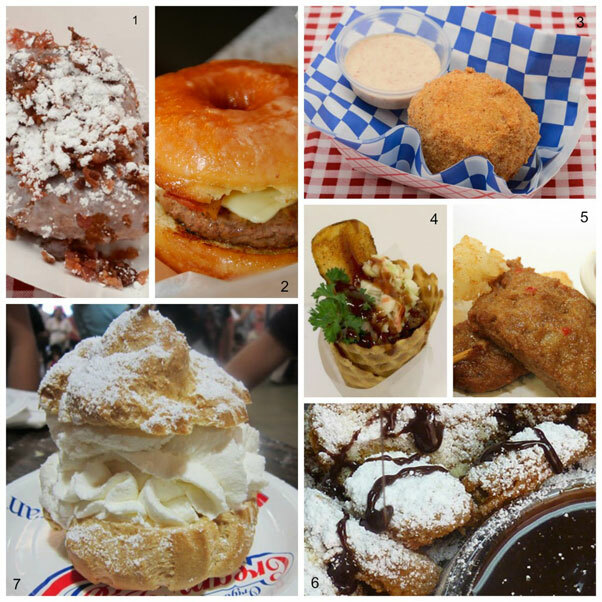 Which State Fair Food Is Your Guilty Pleasure? Spending an evening at your county or state fair is a Summertime American tradition. With the agricultural exhibits and Midway rides come a variety of nostalgic fair food like cotton candy, corn dogs, and caramel apples that we have come to know and love. Throughout the years, fair food has evolved into something a little more outrageous than your typical funnel cake. Here are a few state fairs throughout the U.S. and a sampling of the wacky foods they offer. Share your favorite crazy fair concoctions in the comments section below!